Who says you have to buy your toys at the toy store? In this activity, you can plan and build a pretend play city entirely out of recycled materials. You'll save money on toys, and help the environment, too! Kids put on many different hats as they build, playing city planner, architect, engineer, and even construction worker all in one activity. 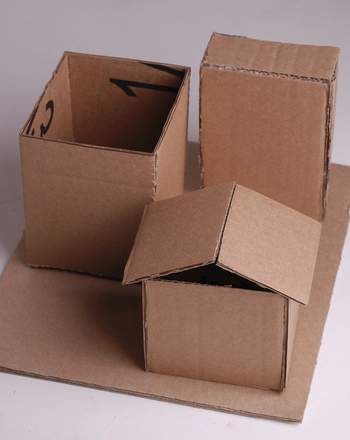 Several cardboard boxes in various sizes such as cereal or cracker boxes, shoe boxes, jewelry boxes, etc. Start by creating a city plan. Help your child brainstorm ideas. What type of city is it, and how large will it be? Does he want to create one street, one block, or more? Have him sketch out his ideas. Once his city is planned out, it's time to play architect. Does your child know what an architect does? Ask him to design his buildings by drawing up blueprints using the drawing paper, pencil, and a ruler. As he draws, talk about form and function and how maths factors into building design. If you like, you can even try creating your buildings to scale using the ruler (1 inch could equal 1 foot, for example). On the large sheet of cardboard, have your child mark where his town's buildings and other features (like streets, trees, parks, etc.) will go. Now it's time to build. Ask your child to choose boxes that best fit the buildings he wants to make. Have him cut out windows and doors and add decorations or signs with pieces of newspaper or magazines. Finish the buildings by painting them with tempera paint, if using. 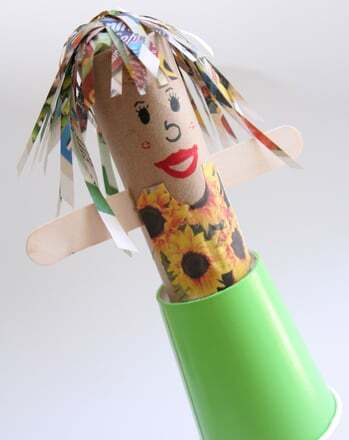 Add other city features such as bus stops, trees, or street signs using the paper towel tubes and extra pieces of cardboard. Have your child use markers or paint to draw small details such as lines on the roads or sidewalk seams and any other finishing touches. Don't worry if you can't finish your city in one day. Work on it with your child over a school break or several weekday afternoons once his homework is finished.